2nd & 4th Wednesday at 6:15 P.M. The Ada Lions Club has been serving the Ada, Ohio community since June 2, 1954. Our members are very active in many local projects including youth vision care, academic scholarships, and fun activities in our community. 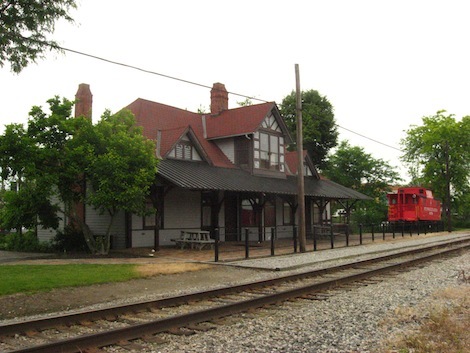 Here is the Ada Historic Depot in Railroad Park, downtown Ada, near where Ada Lions meet at the Center on Central.